Rhizome | Mon Jun 2nd, 2008 8 a.m. The upcoming program in Rhizome's New Silent Series at the New Museum, Net Aesthetics 2.0, will examine the state of contemporary art engaged with internet art. Convening leading artists, critics and curators, this panel will explore salient topics such as the relationship of artists emerging now to the first generation of internet art, the correspondence between online art and offline exhibition (as well as the phenomenon of "internet aware" art), the current role of the artist on the internet, the position of explicit political content in internet art (and the question of whether internet art practice is undergoing a more "formalist" phase), among other directions and challenges faced by this expansive field. Marisa Olson | Mon Jun 2nd, 2008 11:36 a.m.
Editor's Note: Check Rhizome's blog later this week for daily reports from the 01SJ Festival by curator Michael Connor. Ceci Moss | Mon Jun 2nd, 2008 12:24 p.m.
"Tuned City - Between sound and space speculation" is an exhibition and conference project planned for July 01.-05. 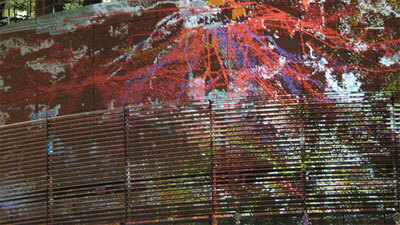 2008 in Berlin which proposes a new evaluation of architectural spaces from the perspective of the acoustic. The project draws the traditions of critical discussion about urban space within the architecture and urban planning discourse-- as well as its strategies and working methods--into the context of sound art. This expanded discussion re-enforces the potential of the spatial and communicative properties of sound as a tool and means of urban practice. At the foundations of this event are artists' works and theoretical approaches which examine in a critical and sensitive way the given urban and architectural situations alongside their resulting socio-political implications, that re-use existing spaces or that conceive and open new spaces. Tuned City is structured in two main segments -- symposium and site-specific installations. On the individual days the symposium will approach the topic from five different theoretical and spatial perspectives. Spaces built for the production and reception of sound or acoustically flawed or impossible spaces, public and semi-public urban space, finished and planned spaces, wasteland or cultivated spaces, indoors and outdoors -- the chosen venues correspond with the individual topic of the day and offer plastic illustration and demonstration. Tuned City will try to break down the conventional conference format and to catalyse the discussion via the space in a mixture of academic talk, artistic presentation, performances, reports from working practice, demonstrations, and walks. ed halter | Mon Jun 2nd, 2008 2:30 p.m.
Ceci Moss | Mon Jun 2nd, 2008 3:01 p.m.
Gregory Chatonsky's project uses sensors to translate (using Pure Data) the vibrations from a malfunctioning hard drive into sound. Click through for an audio sample from Chatonsky's "My hard drive is experiencing some strange noises"
Ceci Moss | Tue Jun 3rd, 2008 8:26 a.m.
Storm King by Amit Pitaru - The Sonic Wire Sculptor project was originally created by Pitaru as a personal instrument to compose, record and perform music. During concerts, audience members often inquired whether they could experience the tool first hand. 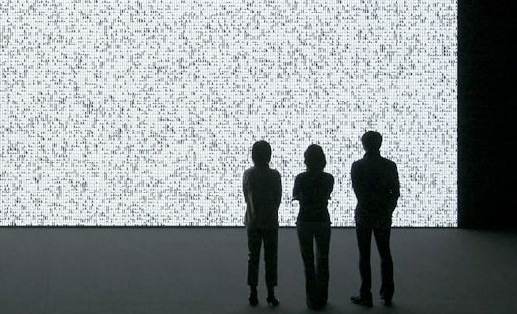 This encouraged Pitaru to transform the software into a public installation. The installation included enhancements to the original work, allowing a wider range of users to intuitively interact with the instrument. Gallery visitors would enter a dark room with a surround-sound system, a projection and a unique drawing station. Opening nights for these exhibits would often double as performance and workshop events where audience and artist explore the tool together. Participants would be encouraged to add their work to a steadily growing collection of beautiful and surprising sonic-sculptures. Today, this collection includes work from professional illustrators, poets, 9 year-olds and their parents, and musicians of various genres. In 2007, Turbulence commissioned Amit Pitaru to compose and perform a new piece with "The Sonic Wire Sculptor Machine." The resulting work, Storm King, was completed in May 2008. It includes an online video and downloadable MP3 of Pitaru performing. Storm King is a 2007 commission of New Radio and Performing Arts, Inc., for Networked Music Review. It was made possible with funding from the New York State Music Fund, established by the New York State Attorney General at Rockefeller Philanthropy Advisors. Marisa Olson | Tue Jun 3rd, 2008 8:56 a.m. 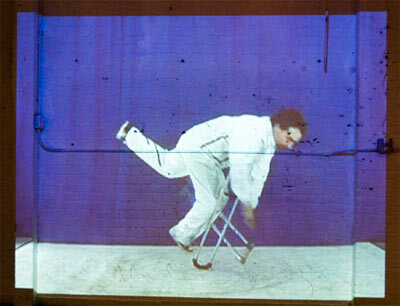 Image: Bill Shannon, Attempts (Video Still, from installation "WORK"), 2008. Tyler Coburn | Tue Jun 3rd, 2008 1:17 p.m.
Ceci Moss | Tue Jun 3rd, 2008 1:31 p.m.
spectra [amsterdam] is artist and composer Ryoji Ikeda's commission for dream amsterdam 2008; his first project for a public space and his first large-scale work pushing the creative possibilities of light to its utmost extremes. Selected architectural features in industrial, civic and open public spaces emanate blinding white light for several hours every evening, in an unearthly, unforgettable experience. Visitors navigate between the sites following a map that connects the distant points of a visceral urban constellation. Ikeda is an internationally acclaimed composer and sound artist who creates highly technologised installations that play with human perception, in concerts, installations and recordings integrating sound, acoustics and sublime imagery derived from pure mathematics and the endless sea of data in the world. He is the second artist chosen by dream amsterdam to realise a vision for the city using its streets and buildings as a source of inspiration, as a medium, as studio and as exhibition space. Spencer Tunick was the first artist commissioned by dream amsterdam and in 2007 worked with two thousand naked people across the city in a car park, a petrol station, a canal, on bicycles and in a tulip field. The energy used for the light installations is generated from sustainable, recycled resources. The site-specific art projects can be viewed from 6 June until 21 June 2008 in the evening hours. A detailed map with the locations and a route can be found from 6 June at dreamasterdam.nl. Ceci Moss | Tue Jun 3rd, 2008 1:37 p.m. Prompted by a lecture artist Marcin Ramocki was asked to give at the Nova Scotia School of Art and Design, Ramocki put together what is now a 13 page document on surf clubs. The document provides information ranging from the most basic observations about surf clubs and to much more complex structures. In particular, I liked the observations in section 4.5, which describe how communication works on these blogs (ie, posting organized content by a challenger, and its decoding by other participants). Ramocki's lecture is pretty much an essential web document on surfing clubs, so I anticipate discussing it a greater length on the blog. The above is a small excerpt from Paddy/Art Fag City's "Massive Links!" post from earlier today. Ramocki's article provides a historical and conceptual framework for understanding surf clubs. While there's certainly been ample discussion surrounding the practice online, Marcin Ramocki's summation of the genesis and trajectory of surf clubs is an important contribution. Rhizome readers should also view the online exhibition "Professional Surfer," curated by Lauren Cornell, which brings together a number of the artists discussed in Ramocki's article.